Aluminum alloy wheels can be classified into two types according to the way they are made: casting alloy wheel and forged alloy wheel. Alloy wheel is an important component of car and is supposed to support the car in the driving process during which orient and portrait pressure is produced. AGICO is one of the specialized manufacturers and exporters in Chinese auto parts. The main products include Clutch Discs & Covers, Water Pumps, Auto Filters, Alloy Wheel Hubs, Auto Lamps, Auto Switches, Battery Clips, Booster Cable, Seat Belts Safety, etc. Our company has passed the standard Authentication of ISO9001-2001 International Quality Systerm in 2001, and continuously hold the principle "Quality first, Customers supreme". Through the strict quality control and draw in the advanced technology abroad, these accessories such as Alloy wheel,clutch disc, water pump, auto filters have been exported to Southeast Asia, North & South America, Australia, European countries or other areas of the world and enjoy a good reputation all the time. 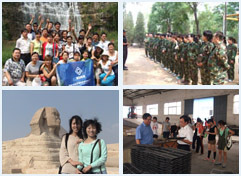 All the staff of our company give thanks to the support and help from all walks of life. And we will offer the clients satisfying auto parts with best products, perfect service, and good prestige. Welcome to our company. Resonalble price: We will offer the resonable and favorable price for all the auto parts we have, which must be more competitive in your market or target market. High quality: We sell only qualified auto parts tested by precision instrument and proved by Quality System Certification, and believe it must be very fitted and durable for your car. Product seek: We can not only supply the right auto parts according OEM No. you refer, but also can develop new ones based on the samples you provide. Delivery speed: We promise you will receive the bulk production fast after begain an order with us, for we have a strict and efficient production line. Good Service: We always follow the principle that "Quality first, Customers supreme" since our establishment, and persistently pursue to satisfy any questions and demands from you with high quality auto parts with best service. We offer a toll free sales and support line as well as email support to ensure you are getting the best auto parts and alloy wheel available.